Another Immersion Program on the books! This past October, Silicon Valley Forum partnered with Singaporean Chinese Chamber of Commerce & Industry (SCCCI) and IE Singapore for “Rethinking Retail & E-commerce.” For five full days, a 35-strong Singaporean delegation was taken on an exciting, inspiring, and educational journey through world-renowned Silicon Valley corporations, VC firms, startups, and accelerators/incubators. Expert representatives from each company generously donated their time to sit down with the delegation and impart their singular wisdom and business acumen. The program centered on a singular goal: was to showcase concrete, practical examples of how technology is transforming e-commerce—particularly independent, brick-and-mortar shops—via cloud storage, mobile engagement, the Internet of Things, and more. 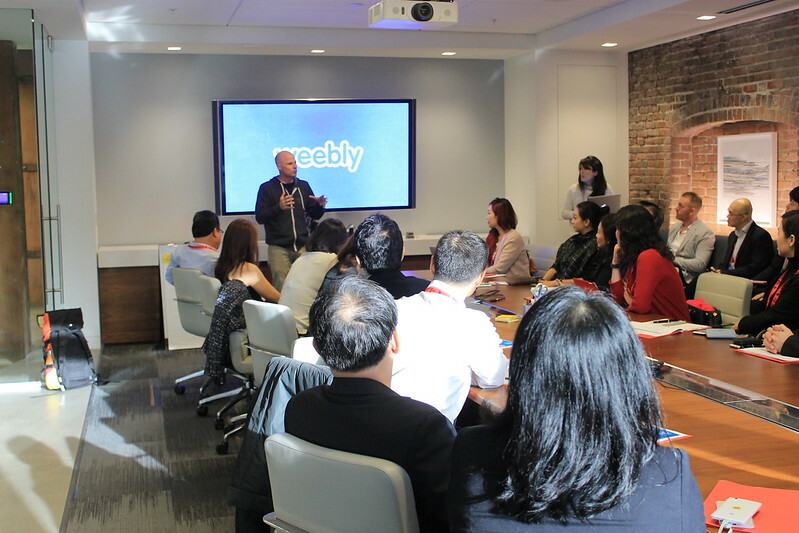 The delegation also learned how the retail and e-commerce ecosystem works in the US and in Silicon Valley—and how to connect with retail companies for future partnership and collaboration. Comet Labs – Emerging Technologies that will Revolutionize Retail Logistics. Pillsbury Law Firm – Wrap-up session with Caroline Tsay, VP and General Manager of HP Software and Michael Torosian, Partner at Pillsbury Law.